The direct association between air pollution and morbidity and mortality rates has been proved. This major environmental risk factor has been mainly due to extensive use of fossil fuels. Increasing pollution caused by fossil fuels can threaten human health. This study simulated the effect of green taxes on Iran’s health indicators, i.e., mortality and morbidity. We used a Computable General Equilibrium (CGE) model calibrated by Iran’s Social Accounting Matrix (SAM). The results show that when any pollution tax rate is levied on energy products, all eight types of environmental pollutions would be reduced. Almost two thirds of health costs (62%) are related to mortality, one fourth to morbidity (26.4%), and the rest to non-health effects (11.6%). Finally, we found an inverse correlation between green taxes and health costs. World Bank. The cost of air pollution: strengthening the economic case for action [online]. Washington, D.C.: World Bank Group 2016; Available from: URL: http://documents.worldbank.org/curated/en/781521473177013155/. Wang B, Liu B, Niu H, Liu J, Yao S. Impact of energy taxation on economy, environmental and public health quality. J Environ Manage 2018; 206:85-92. Hao Y, Liu S, Lu ZN, Huang J, Zhao M. The impact of environmental pollution on public health expenditure: dynamic panel analysis based on Chinese provincial data. Environ Sci Pollut Res Int 2018; 1:1-3. Zaman K, Bin Abdullah A, Khan A, Bin Mohd Nasir MR, Hamzah TA, Hussain S. Dynamic linkages among energy consumption, environment, health and wealth in BRICS countries: green growth key to sustainable development. Renew Sustain Energy Rev 2016; 56:1263-71. World Health organization (WHO). Global Health Risks-Mortality and burden of disease attributable to selected major risks. Cancer 2017.
International Energy Agency. CO2 Emissions from combustion highlights [online]. IEA 2017; Available from: URL: http://www.iea.org/statistics/onlinedataservice/. Asadikia H, Oyarhossein R, Saleh I, Rafiee H, Zare S. Economie growth and air pollution in Iran during development programs. J Environ Stud 2009; 35:93–100. Keshavarz K, Najafi B, Andayesh Y, Rezapour A, Abolhallaj M, Asiabar AS, et al. Social accounting matrix and the effects of economic reform on health price index and household expenditures: Evidence from Iran. Med J Islam Repub Iran 2017; 31:68. Ghorani-Azam A, Riahi-Zanjani B, Balali-Mood M. Effects of air pollution on human health and practical measures for prevention in Iran. J Res Med Sci 2016; 21. Doshmangir L, Doshmangir P, Abolhassani N, Moshiri E, Jafari M. Effects of targeted subsidies policy on health behavior in Iranian households: A qualitative study. Iran J Public Health 2015; 44(4):570. Mayeres I, Van Regemorter D. Modelling the health related benefits of environmental policies and their feedback effects: a CGE analysis for the EU countries with GEM-E3. Energy J 2008; 135-50. Farajzadeh Z, Bakhshoodeh M. Economic and environmental analyses of Iranian energy subsidy reform using Computable General Equilibrium (CGE) model. Energy Sustain Dev 2015; 27:147-54. Somani AK. Environmental Tax Reform and Economic Welfare [dissertation]. [USA]: Harvard University; 2013. 117p. Dissou Y, Eyland T. Carbon control policies, competitiveness, and border tax adjustments. Energy Econ 2011; 33(3):556-64. O'Ryan R, De Miguel CJ, Miller S, Munasinghe M. Computable general equilibrium model analysis of economywide cross effects of social and environmental policies in Chile. Ecol Econ 2005; 54(4):447-72. Baccini M, Mattei A, Mealli F, Bertazzi PA, Carugno M. Assessing the short term impact of air pollution on mortality: a matching approach. Environ Health 2017; 16(1):7. Castro A, Künzli N, Götschi T. Health benefits of a reduction of PM10 and NO2 exposure after implementing a clean air plan in the Agglomeration Lausanne-Morges. Int J Hyg Environ Health 2017; 220(5):829-39. Chaabouni S, Saidi K. The dynamic links between carbon dioxide (CO2) emissions, health spending and GDP growth: a case study for 51 countries. Environ Res 2017; 158:137-44. Kamarehie B, Ghaderpoori M, Jafari A, Karami M, Mohammadi A, Azarshab K, et al. Quantification of health effects related to SO2 and NO2 pollutants by using Air quality model. J Adv Environ Health Res 2017; 5(1):44-50. 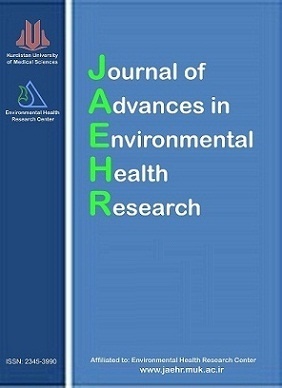 Arfaeinia H, Hashemi SE, Alamolhoda AA, Kermani M. Evaluation of organic carbon, elemental carbon, and water soluble organic carbon concentration in PM2.5 in the ambient air of Sina Hospital district, Tehran, Iran. J Adv Environ Health Res 2016; 4(2):95-101. Ghozikali MG, Mosaferi M, Safari GH, Jaafari J. Effect of exposure to O3, NO2, and SO2 on chronic obstructive pulmonary disease hospitalizations in Tabriz, Iran. Environ Sci Pollut Res 2015; 22(4):2817-23. Chen Y, Ebenstein A, Greenstone M, Li H. Evidence on the impact of sustained exposure to air pollution on life expectancy from China’s Huai River policy. Proceedings of the National Academy of Sciences 2013; 110(32):12936-41. Beghin J, Dessus S, Roland-Holst D, Van Der Mensbrugghe D. General Equilibrium Modelling of Trade and The Environment; OECD Development Centre 1996; Technical Papers No. 116, OECD Publications, Paris. Pope III CA, Burnett RT, Thun MJ, Calle EE, Krewski D, Ito K, et al. Lung cancer, cardiopulmonary mortality, and long-term exposure to fine particulate air pollution. JAMA 2002; 287(9):1132-41. Sarraf M, Owaygen M, Ruta G, Croitoru L. Islamic Republic of Iran: Cost assessment of environmental degradation. Sector Note 2005; Tech. Rep. 32043-IR, World Bank, Washington, D. C.
Basu S, Andrews J, Kishore S, Panjabi R, Stuckler D. Comparative performance of private and public healthcare systems in low-and middle-income countries: a systematic review. PLoS Med 2012; 9(6):e1001244.